Holiday Surprise / Washington Nightmare / Midnight Journey / Shipboard Mystery / Foreign Spies: Volumes 11-15 is for Young Adults. 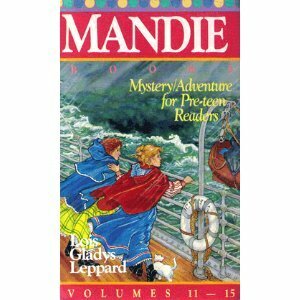 Holiday Surprise / Washington Nightmare / Midnight Journey / Shipboard Mystery / Foreign Spies: Volumes 11-15 was written by Lois Gladys Leppard. Holiday Surprise / Washington Nightmare / Midnight Journey / Shipboard Mystery / Foreign Spies: Volumes 11-15 was published by Bethany House Publishers. 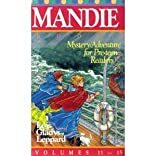 Subjects of Holiday Surprise / Washington Nightmare / Midnight Journey / Shipboard Mystery / Foreign Spies: Volumes 11-15 include Children's 9-12 - Fiction - Religious, Children: Young Adult (Gr. 10-12), General & Literary Fiction, JUVENILE FICTION / Mysteries & Detective Stories, Juvenile Fiction / Religious / Christian, Modern & contemporary fiction (post c 1945), Mysteries, Espionage, & Detective Stories, and Religious - Christian.